* Hover with your mouse over the thumbnails to enlarge the images. 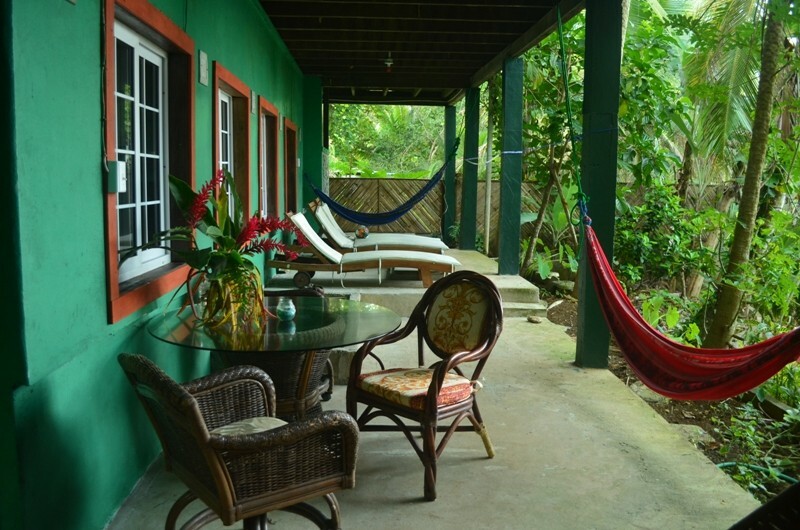 Casa Verde is a two story building, located 100 yeards from Casa Bluff, and just steps from the beach. The 1-bedroom suite, the Butterfly, is located on the bottom floor, and consists of a bedroom with 1 queen bed and a single bed. It is loft style, and boasts a living room with a fold-down, double size futon, a kitchen, and a bathroom. The kitchen has a small fridge and has a large deck connected to it.